There’s a quote on Carlos Santana’s official website that reads: “When you love what you do, you don’t have to work a day in your life.” If that’s true, then anyone who’s heard Santana effortlessly channel the sound of pure joy through his instrument knows that he hasn’t punched a lot of clocks in his time. Santana had one big thing going for him that allowed him to say adios to kitchen duties forever, of course: a killer guitar tone that’s uniquely and unmistakably his own. But does it come more from his fingers, his guitar, his amp, or his pedals? Or is it a combination of them all? “The question is, what was I thinking when I put my fingers on the string,” he replies. “That’s how you get the tone: with what you’re thinking. Amplifiers are important, but not as; guitars are important, but not as. Because I can get the same tone with a Strat or a Les Paul or a Paul Reed Smith—when I hit a note you’re gonna know it’s me, whether you like me or not. 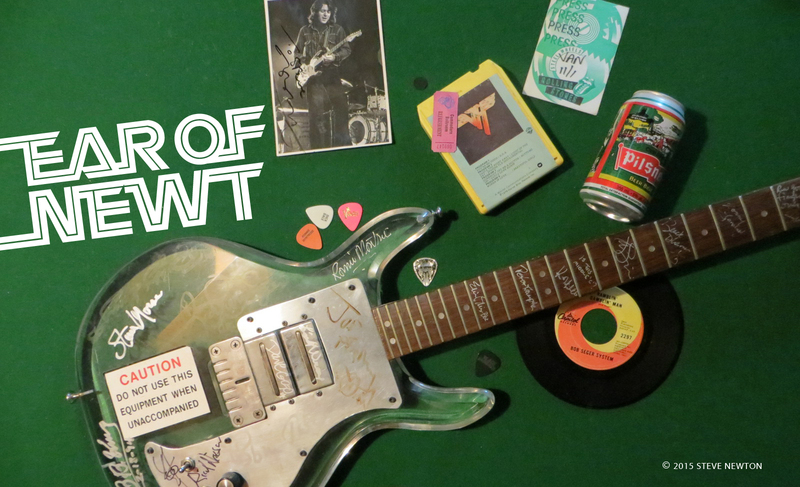 On his latest album, Guitar Heaven, Santana pays tribute to other six-string stalwarts who’ve established their own sound, whether it be Jimi Hendrix, Eric Clapton, Eddie Van Halen, or Angus Young. But he was a tad concerned about what rock fans would think of him covering riff-based tunes like Deep Purple’s “Smoke on the Water” or T. Rex’s “Bang a Gong (Get It On)”. 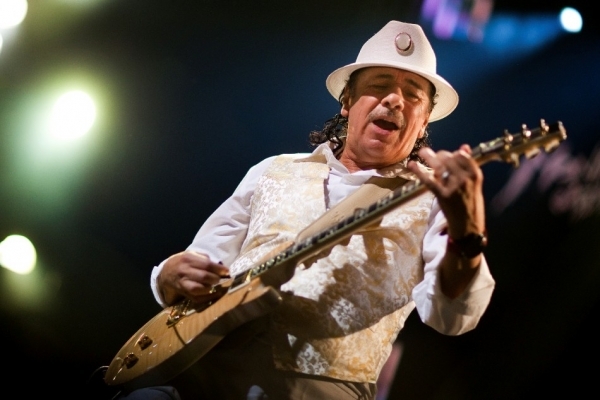 The set list for Santana’s current North American tour includes Cream’s “Sunshine of Your Love”, the Rolling Stones’ “Can’t You Hear Me Knocking”, the Doors’ “Riders on the Storm”, and AC/DC’s “Back in Black”, but he puts his own shine on those retro-rock gems. “One thing that I learned from Miles Davis,” he explains, “is if anybody goes up and down, up and down, I go from left to right. So it’s a countermotion. Everything that I did with that album was basically to make sure—like Michael Jackson—that the tempo is correct and that people are gonna dance to it. I don’t really think too much about where my fingers go or what I’m gonna do or what I’m not gonna do. People call it practising. I don’t call it practising; I call it taking my fingers for a walk. One example of Santana complementing the work of other artists is his 15-times platinum Supernatural album of 1999, which saw his enchanting guitar strolling along in the vocal company of Everlast, Rob Thomas, Lauryn Hill, and Dave Matthews. He won’t be abandoning superstar collaborations anytime soon. “In the future I would like to do something with Jeff Beck and John McLaughlin,” he reveals. “That’s the very near future. I would also like to do something with Andrea Bocelli and Lady Gaga. And so I’m not afraid, man. To me, I’m open to anything and everything. I’d love to work with Mr. Willie Nelson or B. B. King again. So I want a few musicians who can just go anywhere and everywhere, because I like to complement life and people. Some people can only play reggae or jazz or country and western—they can’t do anything else—so I hope they do it very well, because that’s all they do. I don’t want to miss it…. You and A.drea are my most passion…You, from Woodstock until the present .And Andrea, since he was young also..
And I thank Our God everyday for his gifts to us all…..
Bless you,bless you, bless you…. Much Love and Blessings..